Is the United Arab Emirates really going to implement Corporate Tax, VAT by the end of the year? When I firstly moved in Dubai, in June 2009, I was positively surprised by the almost tax free environment offered by the Emirates. I said “almost”, because a very limited taxation was implemented in the residential units market (every transaction was taxed at a 2% rate) and a 10% Municipality Fee I was (and still am) charged at restaurants other then little taxes on foreign companies and banks. Very convenient if compared to Italy (or other European Countries), where gross income is taxed at a level of 43% max, VAT was at 20% (then raised to 22% with the 2011/2012 austerity package) and the overall “felt” taxation for an individual reached almost 55% as confirmed by some studies even though the tax revenues amount to 44,4% of the GDP as reported in 2012/2013 statistics. Corporate Tax is set at 27.5% and many other taxes are foreseen as explained in an HSBC’s report. I have heard before that the GCC Countries were thinking about the possibility to introduce a light corporate tax and maybe VAT to helps the government budgets to reduce their dependence from oil revenues. Negotiations failed in the past years because the taxation shall be implemented by all the involved country simultaneously in order to avoid distortions in the market and some countries objected the nature and applicability of tax. With the dramatic slump of the oil prices, the budgets of many GCC countries turned negative and most of them will be facing a fiscal deficit of 2-3% in the present year from a surplus of 5% registered in the past year. With this ongoing, the need to find other source of income seems to have given the final green light to the Tax project. 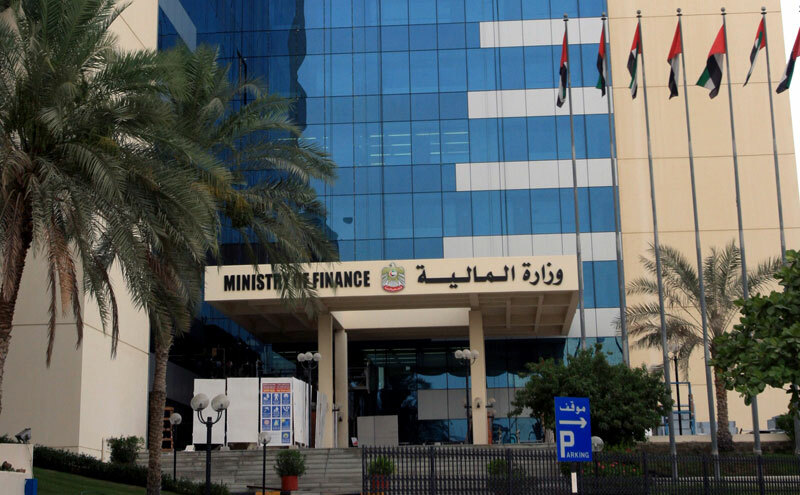 A senior official working at the UAE Ministry of Finance, recently confirmed to Reuters that in May 2015 the Financial council of the GCC has preliminary agreed on the taxation system and that the single countries have to provide Law drafts by the end of the year 2015. There are rumors about the level of taxation that will be proposed and what is going to be affected by it. I am not going to list all the speculations since there are not sure sources for them. The question that residents are asking themselves and the leaders are carefully studying since years is: what could be the short and long terms effects of this change in the fiscal policy of the UAE? I have collected different opinions from people living here, the most reasonable of which was provided by a businessman I met some days ago. Others, as reported by Al Arabiya for instance, affirmed that businesses may limit their investment and expansion in Dubai. Overheads would be so high that fewer people would be hired. Inflation would soar through the roof. Hence, there will be a long period of adaptation before the economy and social fabric stabilize in the new configuration. Last but not least, let’s mention what happen in Japan after the recent hike in VAT that was raised from 5% to 8%. The economy suddenly shrunk because of the drastic reduction in internal consumption from the citizens. Is it going to happen also in Dubai? The law draft is going to be released in the Q3 of this year. We shall wait and see the details to be able to estimate its impact. This entry was posted in Dubai, Economy, News, United Arab Emirates and tagged dubai, economy, news of the world, Tax, Taxation, united arab emirates, VAT on July 14, 2015 by andreadetto. Traders: why do we tend to get the wrong decision? It is not only the economic crisis or the market uncertainty that affects our modern time to complicate the decisional process of each and every one of us, but real ‘psychological traps’ that affect our judgement ability. Here below there is a list of the most common traps that affects the majority of the traders (either they are expert or newbie) including myself. The first and most common trap is the so called “snake bite effect” that affects the 51% of the “normal” investors. The concept at the base of this effect is very easy to understand: if you get bitten by a snake while you are looking for mushrooms in the forest, the next time you do it you would most probably be deadly scared about the possibility of having it happen again. Therefore, if you lose a great amount of money invested in something, the next time you would like to invest in the market you will remember the bad occurrence and most probably change your mind. This aversion to the risk can also manifest immediately by feeling the need to reduce exposure to the asset class that see a loss or abandon it all together. A simple example to better understand: a young investor decide to invest some money by buying shares of an Automotive company at 10 € per share. After a while the stock fell to 7 € owing to some cyclical effects. The young investor most probably would panic and sell the stock and even though the share’s price start increasing significantly reaching 25 € per share he/she is too afraid to get back in the market. Another common trap, quite in contrast with the previous one, is the so called “disposition effect” that is the result of the fact that pain of an investment loss hurts much more than the pleasure of a gain. For this reason the 41% of the traders are always fearing regret and seeking pride more than any other thing. As consequence the investor tend to sell stocks too early to seek ‘easy and immediate’ pride while the fear to fell the painful regret associated with taking losses can keep them from selling bad assets to buy new, better positioned, ones. Then there is the “Home bias” that consists in the perception of the domestic market as more familiar and therefore less risky than a foreign market. For this reason an Italian is more likely to invest in Italians equities than to buy an American one even though diversifying the portfolio is the best way to minimize the risks. Origin of this block could be the fluctuation in the foreign currency value, law restriction and thinking that since the stock you have just bought is domestic, you know its dynamic much better and therefore you can manipulate it more effectively. If you have been so lucky to have earned some monies during your trading, you could experience the “overconfidence”. You will start unconsciously thinking that you are smarter than the average trader and that you are so prepared and know the markets at such an extent that it is really unlikely for you to commit a mistake. And that is the moment when you will buy huge quantities of a financial product underestimating the potential risks and ending up losing a lot of money. While it is one of the most common mistakes that a Financial Promoter could do, it is also affecting normal traders. There are many other mental traps that can affect your ability to profitably trade and if you would like to investigate a bit further, you could find interesting www.investopedia.com and other similar websites. This entry was posted in Financial Markets, Investments and tagged economy, financial markets, investments strategies, psychological, trading on June 1, 2015 by andreadetto.